The National Police Chiefs' Council has released data to show the number of hate crimes recorded by the police since the Referendum in June 2016. “We have seen continued decreases in reports of hate crimes to forces and these reports have now returned to formerly seen levels for 2016. For this reason, we will return to our previous reporting procedures and will no longer be requiring weekly updates from forces. “This doesn’t mean that hate crime is no longer a priority. We know that divisions still exist in our society and that tensions could rise again. Police forces will continue with their robust response and we will react swiftly to any future signs of tension. 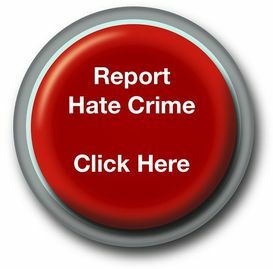 “I am aware that hate crime is still an under-reported crime but we believe that greater awareness and confidence in the police response has contributed to increases in reporting in comparison to last year.